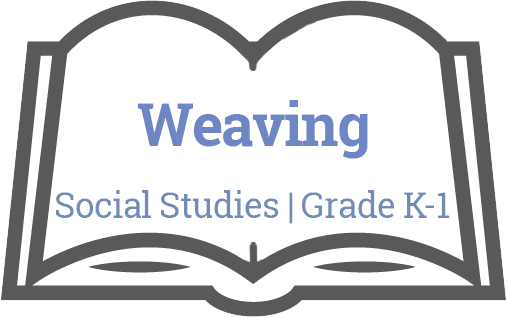 Describe patterns in weaving (eg. Over-under, colour patterns, etc.). Demonstrate their product, tell the story of designing and making their product, and explain how their product contributes to the individual, family, community, and/or environment (Applied Design & Tech K/1). Incorporate First Peoples worldviews and perspectives to make connections to mathematical concepts (Math K/1). Create artistic works collaboratively and as an individual, using ideas inspired by imagination, inquiry, experimentation, and purposeful play(Art K/1).